Elizabeth Montgomery & Maurice Evans Proof Sheet. Recently discovered in the ABC archives, lost proof sheet of Elizabeth Montgomery and Maurice Evans in the hechizada epsiode, Samantha's Good News.. Wallpaper and background images in the hechizada club tagged: bewitched elizabeth montgomery maurice evans proof sheet 1960s tv series photo. This hechizada photo contains vitral, celda de detención, institución penal, centro penitenciario, institución penitenciaria, and penal centro. There might also be celda, la celda de prisión, celda de celda, célula, celda de la cárcel, la cárcel, tintineo, cárcel, penas se percibía, pokey, clink, slammer, and poky. 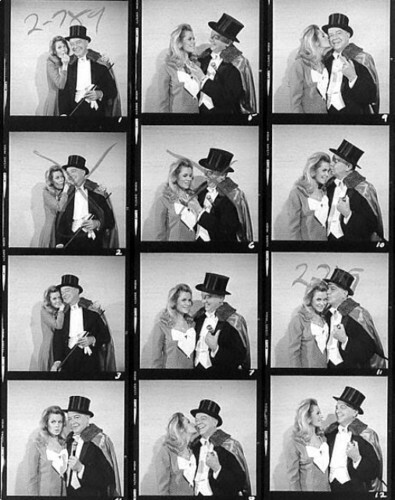 Special memories captured on film,we won't ever have a series liked Bewitched again(in my opinion and many others)so these images are wonderful and rare.Thank you Cammie for finding these images and lots of others, and also for keeping this Spot alive with your endless dedication.